Reports and rumors had strongly suggested that we won’t be seeing a new iPad releasing at the September 9 event hosted by Apple at the Bill Graham auditorium. However, seems like things are changing as new report indicates that we would be seeing the long-awaited iPad Pro along with another iPad model at this event. Set to be one of the company’s largest events in history, it won’t just be the two new iPhones making an appearance on the stage in San Francisco. According to “trusted sources” of 9to5mac, we will also be seeing an iPad Pro and a refreshed version of the iPad mini at the event, next week. This is in high contrast with earlier reports that were adamant that even if iPad Pro does see a launch this year, it would be an exclusive event in October. However, with only a few days to the event, seems like Apple does plan on revealing the new iPad Pro this month. Keeping up with the rumors that iPad Pro will see a launch event in October, the publication does state that while the “whispers within Apple” point to a debut of iPad Pro next week, it is possible that Apple holds it back for an early October launch. The MacBook-sized tablet is scheduled to be available in the market starting November following a pre-order campaign launching towards the end of October, confirms 9to5mac. 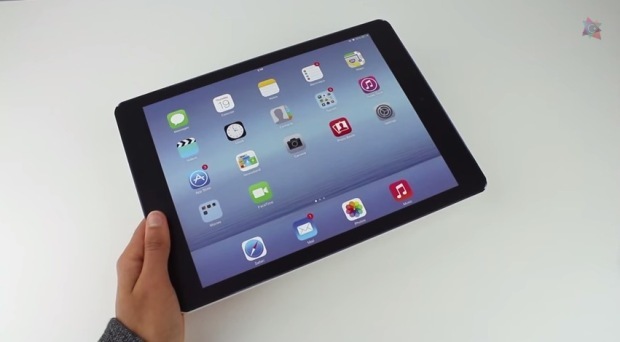 Apple’s iPad Pro is Apple’s first large-sized tablet focused towards business users. Taking advantage of split-screen apps of iOS 9, upgraded cameras, iPad Pro is also rumored to support a Force Touch enabled stylus. iOS 9 is also expected to bring additional tweaks to the larger tablet including optimized Notification Center. iPad mini 4, on the other hand, will be a thinner tablet than the current generation mini, sporting a faster A8 processing chip, and an improved camera. Apple’s September 9 event will showcase a pair of new iPhones, revamped Apple TV set-top box, new bands for Apple Watch, an iPad Pro, and a refreshed iPad mini.